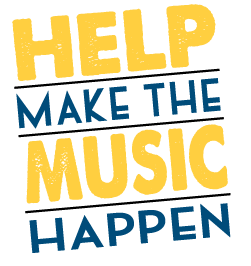 Help Make The Music Happen! Each year, more than 400 music-loving volunteers Help Make The Music Happen at Mile of Music. We are always in search of friendly, energetic and hard-working individuals to fill a variety of fun and important volunteer roles aimed at ensuring the festival runs smoothly. Registration for Mile 7 will open in Spring 2019! Interested in large-group volunteer opportunities during Mile 7 (2019)? Email [email protected] so we can get in touch with you! Interested in volunteering at our year-round events (New Year’s Encore Eve, OuterEdge showcases, etc.)? Email [email protected] to be added to our email list! Country Financial is the official volunteer sponsor of Mile 6 (2018)! Thanks to Country Financial for supporting the music (and volunteer) movement at Mile 6! Here are the steps to sign up to be a volunteer with Mile of Music! Once on the registration page, you can browse jobs by Job, Location, Date and Calendar by using the navigation tool in the upper right hand corner. Click the specific shift(s) for the job(s) you are interested in and scroll to the bottom of the page to fill out the brief, but required registration information. Click “Complete Registration Here” to confirm your registration. You should receive a confirmation email with your shift information to the email you provided. We are looking for folks who are excited to show what our Downtown and community can offer to artists/bands and the many visitors who are coming from across the state, Midwest, and nation to experience Mile of Music. If you are looking to volunteer with someone, look for positions with 2+ spots available. You will need to register separately so we have the proper contact info and t-shirt size. *Roles are subject to change. Thank you for your interest in volunteering at Mile of Music! We truly couldn’t do it without YOU!